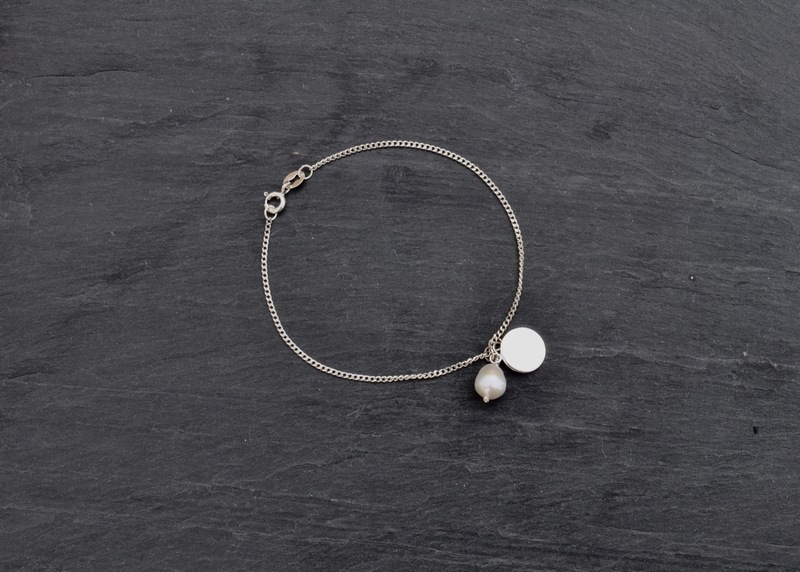 Freshwater pearl and Argentium silver disc charms on cable chain with clasp. 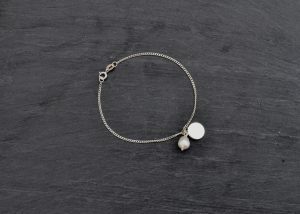 Chain and clasp – 100% sterling silver. 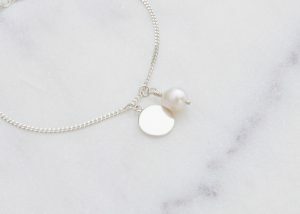 Disc charm can be personalised with stamped initials or name.